Tell us about your label, and where the name came from. Formosa, latin for ‘beautiful’, is frequently used in the naming of Australian plants. Formosa Design was founded in 2009 by me, Jennifer Berney, as an outlet for my two passions; the environment and visual design. I focus exclusively on Australian flora and fauna in my subject matter and in doing so I aim to draw attention to the beauty of our lesser known natives. I would like for people who enjoy my work to be inspired to plant and cherish natives in their gardens, which of course brings in the birds. What’s your background and have you always been creative? Growing up by the sea in Perth, I was really lucky to have a artist mother who encouraged and taught me to draw, paint and pursue my interest in art and design. In 2004 I completed a BA in Design at Curtin with a major in Illustration, I was recruited by leading design studio, Block Branding. There I spent the next three years plying my trade learning from amazing designers. I worked on brands such as the Perth International Arts Festival, Zekka, Rosendorffs, 3Sports, Filmtecknara, and Test Tube. I received awards from One Show, The Webbies, AGDA, PADC, and Campaign Brief. My illustrations have been printed in Martin Dauber’s Big Book of Fashion Illustrations, Madison, and the New York Semi-Permanent 2005 book. So it came of something as a surprise to many when, in mid 2008, I was the first to blink in a long distance relationship and found myself in Canberra. I took the opportunity of a fresh start to realise the dream of running my own sustainable business. 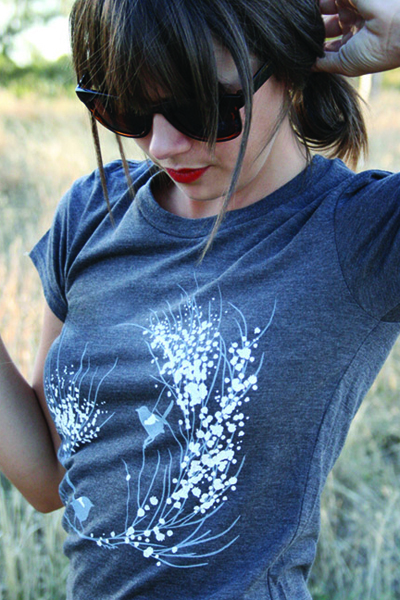 Inspired by the mountains of Eucalypt forests surrounding the city and the Sulphur Crested Cockatoos snacking on my flower beds, I founded Formosa Design. What do you love about Australian flora and fauna? Ooh where to start? Simply, I love the way it makes me feel. Only a swim in the ocean leaves me feeling as at peace and inspired as a walk in the forest near my house. Visually, I love the way the muted green, blue and grey foliage hues juxtapose against the tiny jewel-like bright yellow, pink and purple flowers found in the bush. I love the massive variety of species and the fact that I’m constantly learning about new plants and animals. I start by choosing plants I wish to develop into patterns and this can really hard because there are so many. I would like to do more endangered or little know species next time which will help to narrow the number of choices. This stage is also the most fun as I get to go on hike and walks in order to hunt them down and take photos, often I’ll find plants on these walks which I hadn’t thought of using before. Next I head back to my studio to draw and draw to see if they’ll work as a pattern. I then research what animals rely on the particular plant and then finally when I have an idea I’m happy with I’ll scan it and convert the drawing to vector artwork in illustrator, this is also when I start playing with colour and repeat designs. Finally I then head of to the fabric printing studio and make samples. What is the design scene like in Canberra and how does it compare with some of the other cities? The design scene in Canberra, like it’s population, is small but high quality. There are some very talented folk here, including textile designers Deidre from Third Bird and Megan Jackson from Made by Jack. I met both designers through printing at Megalo. 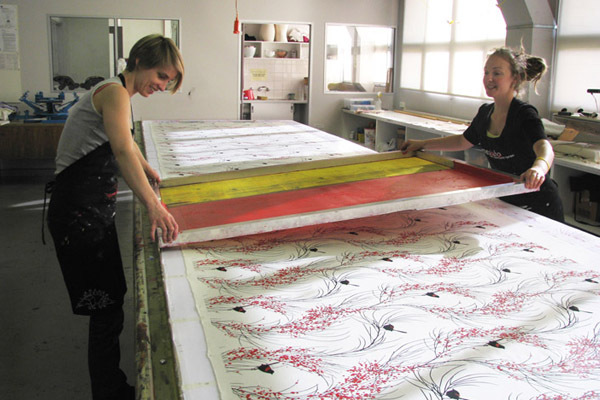 Megalo has played a major part in the growth of Formosa, it was there I learnt to screen print when I moved to Canberra and also where I met a community of artists. I don’t know what I would have done without them, I’d probably be trying to print in my garage! Shop Handmade has also been a great support and through them I have met many more makers in Canberra. 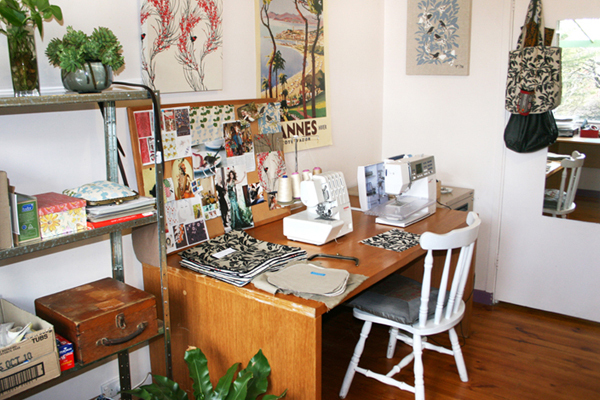 Some other fantastic Canberra designers include Annie Trevillian and Klei. What are your plans for the label next year? 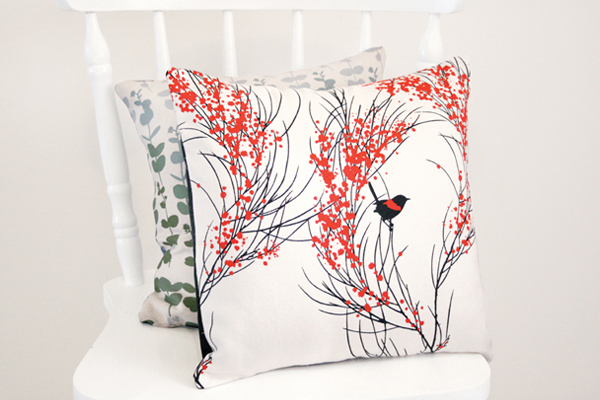 Next year I’ll be coming out with a new range of patterns and new colour ways for my existing designs. I’m really excited about this and I would like to develop them into clothing which I haven’t done before. Formosa will also be getting out into more stores and hopefully more people’s homes!